The audit data from the Beef Quality Assurance program shows that the training is hitting the mark in reducing the instances of value-robbing carcass defects from the pasture to the processor. 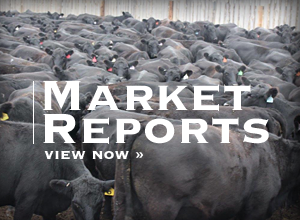 The audit data reflecting fewer injection site lesions following Beef Quality Assurance training and the associated carcass value is showing that the voluntary program is hitting its mark. Travis Taylor, a member of the Colorado BQA advisory committee representing Extension, said it's working and it's showing consumers and packers, alike, the standards in place regarding livestock care. "BQA is people who are actually involved in the industry that are trying to fix the problems on our side versus being told from outside what a quality standard is for livestock production," Taylor said. "If we don't do it ourselves from a BQA standpoint, every packer is going to come up with a separate set of standards to meet." Having one standard across the industry established by those within it, he said, is far more advantageous than multiple standards that get complicated quickly. The standards also show the industry's proactive approach to care and eliminating carcass bruising and injection site lesions. Beef Quality Assurance training is available both in person and online and is a free, voluntary program, though some packers are beginning to require those who source cattle to them be certified. Many feedlots are offering on site, in person training, available through trainers around the state. 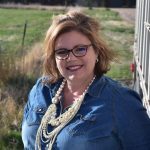 BQAT, the transportation course for professional livestock haulers is now available on the national BQA website and Libby Bigler, Colorado BQA coordinator, said she's beginning to see feedlots utilizing this program as required by packers. There are two tracks, one for producers and one for professionals hauling cattle to and from feedyards. Handling, loading, unloading, cleaning and biosecurity are all covered in the BQAT training. Certified drivers receive a reference guide for their truck and a formal BQAT card that packing facilities can request when trucks arrive to unload cattle. Bigler likens the program to efforts by the pork industry to train transporters. Bigler said packers are receptive to the BQA program based on its success and to establish care and handling standards that consumers are interested in knowing exist. "From a consumer standpoint, that's what the packers are looking for and to assure consumers that the meat they're purchasing is raised under BQA guidelines. Ultimately, though, BQA is about reducing defects that reduce the value of the carcass." It is in the best interest of all points in the beef quality chain, she said, to adhere to best practices to maintain quality and value. 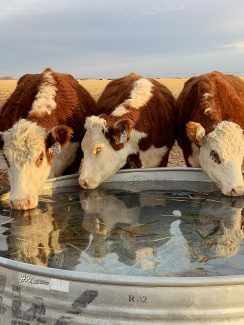 "If they can confirm that the feedlots they're buying cattle from are giving injections in the neck and are abiding by low stress cattle handling principles, they know they're not going to have as much value lost," she said. "Those can add up very quickly especially if they have whole groups coming in where some of those things are big issues." While some producers may balk at the BQA certification if they're not being specifically paid for it, Bigler said they are the standards of the industry and not adhering to best practices can ultimately mean money out of producers' pockets. It is, she said, the baseline of quality care and producers can add value from that point forward in the chain. Similar to BQA, youth exhibitors showing and selling market animals at the state's county fairs are required to take Meat Quality Assurance training. This training encompasses care standards including labeling, proper injection sites, withdrawal times, facility safety, and other standards similar to BQA content. Many national shows are moving toward Youth for the Quality Care for Animals YQCA, which is similar but has a fee associated. 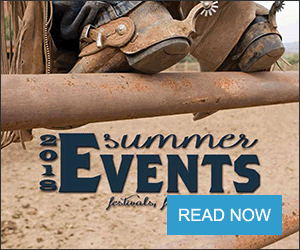 The Colorado BQA advisory committee, on which Taylor serves, has representatives from Colorado Cattlemen, Colorado Livestock Association, Cooperative Extension, the Colorado Beef Council and Colorado State University Animal Science.